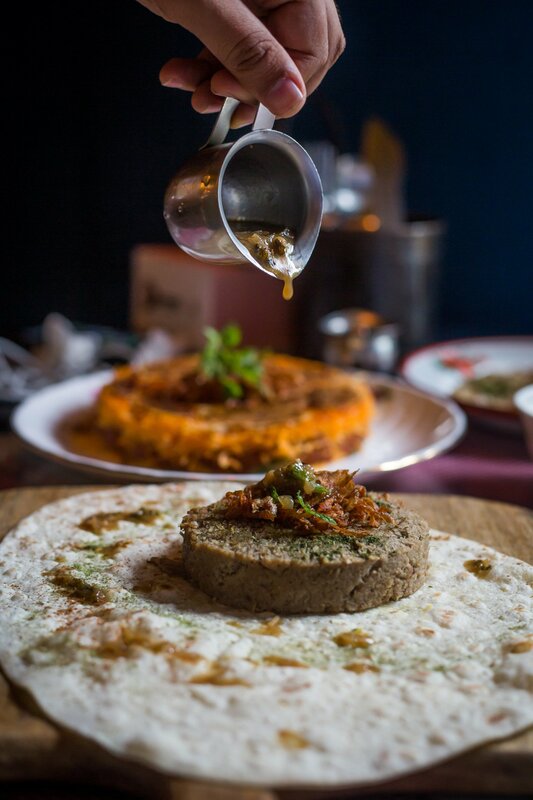 SodaBottleOpenerWala, the quintessential Bombay-Irani Café and Bar turns five this year and the team is celebrating “Soda Turns 5”, as Chef Anaida Parvaneh presents her Persian Winter Barbeque Pop-up at their outpost in Powai, Mumbai. Chef Partner Anaida Parvaneh's latest creation is inspired from her heritage and she is extremely passionate about it. The love for Persian food was passed down through Chef Anaida's mother to her at a very young age and through her family over generations. SodaBottleOpenerWala & Chef Anaida put their own spin on it with the Persian Winter Barbeque Pop-up at the Powai outlet. On the menu are delectable sizzling favourites like the Cashew Tamarind Mushroom Sizzler that is flavour packed with a Mushroom rice, Sanbooseh, Tamarind Cashew nut sauce, Peanut choshni and so much more, the Paneer & Zucchini Sizzler, the Tamarind Shrimp Sizzler and the Jujeh Kabab Sizzler that is a delight with palate teasers like Saffron marinated boneless Chicken on skewers with Saffron buttered rice, grilled tomato and more. The Chef’s Specials include Veg Haleem that is Persian style eggplant dip flavoured with Iranian kashk, Jujeh Kabab Skewers, Persian Haleem that is the traditional winter breakfast in Iran and the original rice-less biryani - Esfahan Beryani that is Fire roasted minced lamb served on naan. The menu also features Persian Bowls like the Vegan Bowl and Chicken Bowl, Anaida’s Magic Soup that is perfect for the weather, Salad-e-Salamat, an Iranian Tea & Sweet of Darjeeling black tea and Nankhatai or Baklava on the side and desserts such as Baklava and an Iranian Halva with Nuts.